Immunotherapy has dramatically improved the outlook for select patients with metastatic non–small cell lung cancer (NSCLC), but its reach could extend even further when combined with other approaches, said Naiyer A. Rizvi, MD. Over the last few years, the PD-1 inhibitor pembrolizumab (Keytruda) has emerged as an effective frontline option for patients with metastatic NSCLC across squamous and nonsquamous histologies. Pembrolizumab demonstrated a greater overall survival benefit (OS) versus standard chemotherapy, both as a single agent in the KEYNOTE-024 trial and in combination in the KEYNOTE-189 and KEYNOTE-407 studies. Results of the KEYNOTE-407 trial showed that the addition of pembrolizumab to carboplatin and paclitaxel or nab-paclitaxel (Abraxane) led to a superior OS benefit compared with chemotherapy alone in patients with squamous metastatic NSCLC (HR, 0.64; 95% CI, 0.49-0.85; P = .0017). These findings led to the October 2018 FDA approval of pembrolizumab for this patient population. Additionally, in December 2018, the FDA approved the frontline combination of atezolizumab (Tecentriq), bevacizumab (Avastin), paclitaxel, and carboplatin for the first-line treatment of patients with metastatic nonsquamous NSCLC. Beyond the metastatic setting, checkpoint inhibition is also starting to make headway in patients with stage III disease. For example, data from the PACIFIC trial showed a significant survival advantage with the addition of durvalumab (Imfinzi) to standard concurrent chemoradiation therapy. 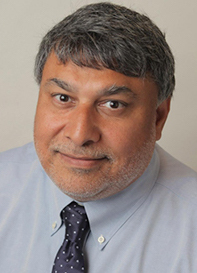 Rizvi, director of Thoracic Oncology and Immunotherapeutics, Price Chair in Clinical Translational Research at Columbia University Medical Center, Herbert Irving Comprehensive Cancer Center, said that ongoing research is evaluating additional immune checkpoints to PD-1, PD-L1, and CTLA-4. Chimeric antigen receptor (CAR) T cells are also being tested in early studies in patients with NSCLC. In an interview with OncLive, Rizvi highlighted the progress made with immunotherapy in patients with NSCLC and shed light on where further research needs to go to move the needle forward. OncLive: How has immunotherapy impacted the prognosis of patients with NSCLC? Rizvi: Immunotherapy has really transformed the lives of patients with lung cancer. The caveat to that is it's only transforming a relatively small proportion of patients' lives. To me, however, that's our foot in the door for trying to help more patients through our research and the work that we do—to develop newer immunotherapies. We are still trying to understand why patients respond or don't respond to this therapy. The research that's ongoing has been explosive, so I'm confident we will be able to help more and more patients every day. Where do we stand with biomarkers of immune response? PD-L1 is effective, and it works best in concert with tumor mutational burden. Both biomarkers identify somewhat different patient populations. There is some overlap, but the 2 biomarkers together probably give us the most robust information about who is going to respond to these therapies. What advice would you give for managing immune-related adverse events? One just has to be vigilant about any symptoms that the patient has at all. We have to make sure the patient communicates with the doctor in clinic about any issues they are facing. A lot of it has to do with patient education and vigilance. Would you consider the use of immunotherapy in patients with oncogenic drivers? For patients with EGFR mutations or ALK rearrangements, they still do best with targeted therapy. They still receive targeted therapy in the frontline setting. We haven't yet figured out how we can help those patients by using immunotherapy. There has been some benefit observed in some phase III trials with giving chemotherapy and immunotherapy combinations in patients with EGFR mutations who progressed on their targeted therapy. We are making some progress, but we need to do more work with immunotherapy in those patients. What does the future hold for immunotherapy in the lung cancer space? The future of immunotherapy will be in combinations, but I don't know if it will only be immune checkpoint blockade. It could be with bispecifics or other novel approaches that many investigators are working on. It could even be with CAR T-cell therapy for all we know. There is work being done in every avenue of immunotherapy. Research is ongoing in lung cancer, so the sky is the limit. Are we getting closer to considering NSCLC as a chronic disease for some patients? You have to look at the whole spectrum. For some patients, we started treating them with immunotherapy 10 years ago and their cancer still has not come back. You could say they are in remission or whatever you want to call it. Then you have other patients where, yes, they may have stable disease and they are essentially living with a chronic disease. However, there are still many patients who we are still unable to help at all. There is a range of possible outcomes. We need to improve the patients who aren't benefiting at all to achieve at least something close to a chronic disease. For those who have a chronic disease, we need to improve their conditions to something more than that. There is room for improvement. Paz-Ares LG, Luft A, Tafreshi A, et al. Phase 3 study of carboplatin-paclitaxel/nab-paclitaxel (Chemo) with or without pembrolizumab (pembro) for patients (pts) with metastatic squamous (sq) non-small cell lung cancer (NSCLC). J Clin Oncol. 2018;36(suppl 15; abstr 105). doi: 10.1200/JCO.2018.36.15_suppl.105.